Ofonedu-Ime Goodwyn is a real estate and commercial transactions attorney with exacting judgment, keen insights and a reputation for delivering exceptional work product. His practice focuses on corporate matters, secured lending transactions, and the acquisition, disposition, development, and leasing of real property. Mr. Goodwyn regularly represents closely held companies, national and regional lenders, and a diverse range of borrowers and developers in a variety of commercial matters. Before joining Hinshaw & Culbertson LLP in July 2013, Mr. Goodwyn was a real estate and litigation associate at Liebler, Gonzalez & Portuondo in Miami, Florida. He began his legal career at Stroock & Stroock & Lavan in New York immediately after graduating from Columbia Law School (CLS). As part of a CLS Human Rights fellowship, Mr. Goodwyn served as a research intern with the Lawyer's Collective HIV/AIDS Unit, in Mumbai, India, where he developed an ongoing interest in social enterprise as a mechanism for community development. 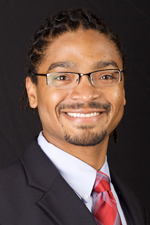 From 2007 to 2009, Mr. Goodwyn accepted a position at his alma mater, George School, a Quaker college preparatory school in Newtown, Pennsylvania, to give back to his community by teaching and mentoring the next generation of young leaders.